Malayalam Megastar Mammootty recently revealed a long lost dream of his to his followers in an interview with RJ Mathukutty. The national award winning actor said that he wanted to direct the movie "Bhoothakkannadi" with Superstar Rajinikanth as the central character. The Malayalam film, written and directed by Lohithadas was released in the year 1997 and had Mammootty in the lead. It won the Kerala State Award that year for the Best Film and Mammootty bagged the Filmfare Best Actor Award for his performance. 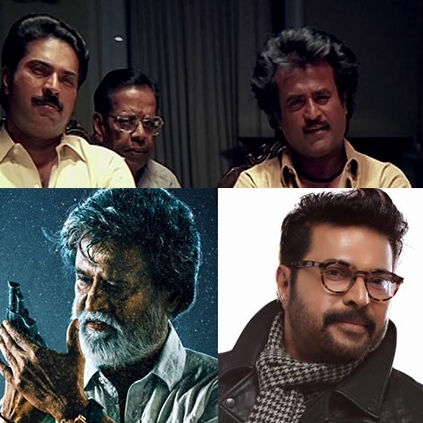 Mammootty said that he had discussed the story with Rajinikanth, but somehow nothing materialized and back then he also did not feel like pressurizing Rajinikanth into doing the film. The movie is the story of Vidyadharan, a clock Smith who lives with his daughter in a small village. After his wife's death due to a snake bite, Vidyadharan developed a paranoia about snakes. He lives next to his childhood love Sarojini, whose husband had left her with a daughter. Their world is turned upside down when Sarojini's daughter is gang-raped and killed. Vidyadharan confronts a local drunkard who he suspects to be behind the dreadful deed, and accidentally kills him. He is sent to jail and while serving the time he starts seeing a family of blind singers who live at a hill top with their beautiful daughter, through a hole he found in the prison wall. He sees a constable misbehaving with the daughter which ends with the family's suicide. Angry Vidyadharan attacks the constable accusing him of murdering three innocent people. Only when the jail warden inspects the hole, it is revealed that the entire episode was Vidyadharan's imagination. How do you think the film would've turned out to be? People looking for online information on Mammootty, Rajinikanth will find this news story useful.